Simple Hands: Being A Boy. 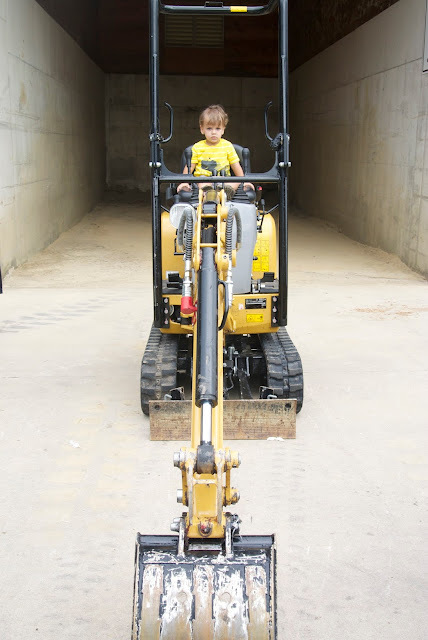 This little boy of mine is a huge fan of all wheeled vehicles. 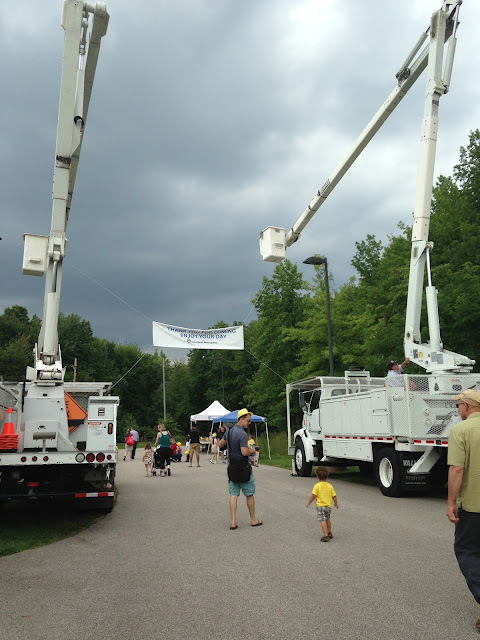 Trucks are really high up on the list so we were really excited to hear about the Cleveland Metroparks Touch A Truck event last weekend. Things started out a little rocky with a skeptical and hungry two-year old but once there was food in that belly he was ready to "be the driver!" I don't know if I can fully explain just how excited he was...horns were blasting, levels were pulled, buttons were pushed. It was a good day. He was serious about his work getting done. Look at that little face! I think that we got in every single vehicle there was to get in as Oliver declared "I'm the driver" every time. Happiness abounds in this truck heaven and Papa was a good sport to wear the construction hat as directed by the boss. It was a great way to start off our Sunday. Thanks for having us Metroparks, we'll be back next time! Happy Monday! Art in the Petit Parc.